Charisma is an online home decor company that specializes in creating handcrafted home decor, home accents and handcrafted jewelry for sale. Charisma was founded and started by Mr. and Mrs. Whitaker, a loving married couple of 36 years. After raising nine children and overcoming personal trials and tribulations, they decided to combine each others love of art and crafts into an elegant, exquisite and sophisticated online home decor company. Mr. Whitaker, born at 5 months was only 1 pound and 15 ounces. He wasn’t expected to live and was named “The miracle baby” due to his miraculous delivery and birth story. Mrs. Whitaker, was born with several birth impediments including clef lip and club foot. These birth defects deeply saddened her and caused Mrs. Whitaker to be tormented throughout her life. However, with the help and support of their children they were able to find inspiration and create a home-based family business named Charisma. 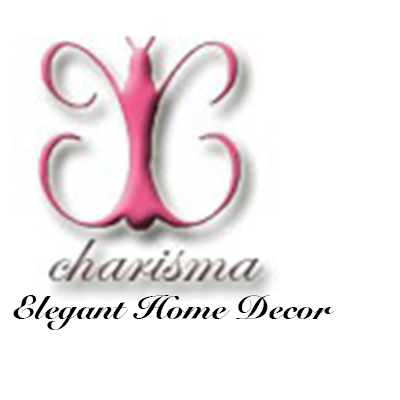 Here at Charisma we promise to consistently create quality, handcrafted decorative home decor products. Many of our custom created items include throw pillows, accent pillows, decorative pillows for the couch, decorative vases, home decor vases, crackle finish vases and unique picture frames glazed with our unique crackle finish coating. Our products possess an intimate and personal quality that accommodates the home, bedroom and many living quarters. We hope many will enjoy our new home decor collection as much as we enjoy bringing our vision to life. Please feel free to indulge in our online home decor catalog and make your house a home.